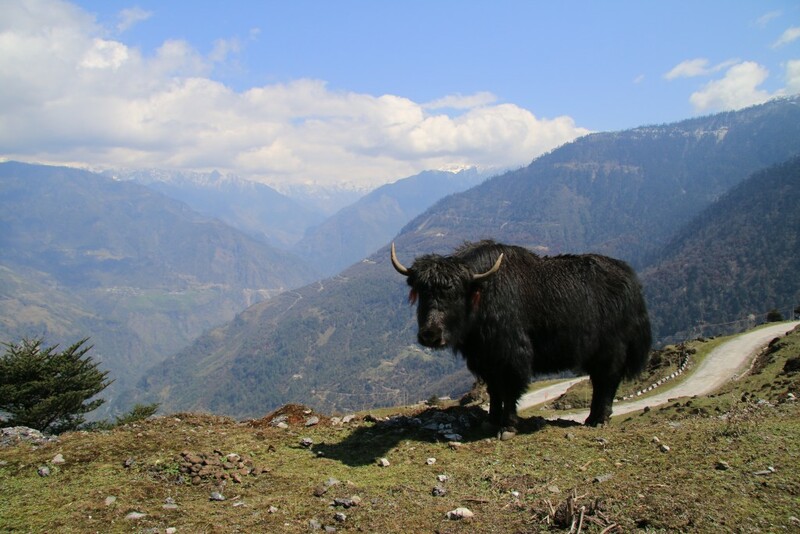 It seems like only yesterday that I was penning my ‘I’m off again!’ newsletter at the end of January, and yet here I am, back in the bosom of Bristol, having completed what was a truly fantastic journey through the Indian state of Arunachal Pradesh. In ten weeks on the road I travelled around 3000 miles by motorbike, foot, boat and (10 miles by) tractor – from the sweaty, leechy jungles bordering Burma’s Shan state in the east, to the snow-dusted, gompa clad peaks of Tawang in the west. I met shamans with magical powers; followed explorer FM Bailey’s footsteps to the border with Tibet; stayed with Idu Mishmi and Khampa families who had never slapped eyes on a foreigner before; sat around endless fires talking about tigers, yaks, yetis and spirit snakes; followed leopard tracks through the jungle; saw gory amounts of animal sacrifice; trekked deep into the sacred Buddhist kingdom of Pemako; got drunk with nuns and sweated up mountainsides to the wreckage of US 2WW aeroplanes. It was shiveringly cold, ineffably wet, excruciatingly hot, breathlessly high, mind-blowingly beautiful and constantly surprising. There really can be very few places in the world that are so unknown, unmapped and little visited by outsiders; I feel extraordinarily grateful to have gone, and to have met so many brilliant people along the way. Since there was a blissful absence of internet and phone connection during the bulk of my journey I didn’t post a huge amount on social media. But if you’d like to peruse the posts and photos I did upload, have a look on Facebook and Instagram. I shall now be barricading myself into a small shed at the bottom of my friend’s garden in order to scribble away at The Book for the rest of this year. All being well, it will be published by Simon & Schuster in the summer of 2017. I’ll leave my most effusive thanks for the book, but no solo journey is truly done alone, and I’d like to say a HUGE thank you to everyone who supported this trip, namely Native Route, the Transglobe Expedition Trust, Snugpak, Water to Go, Stanfords and The Visa Machine. Without them I’d still just be looking longingly at the map. Next PostLand of the Dawn-Lit Mountains published 15 June!